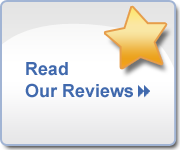 Vivera retainers, retainers from the makers of Invisalign®. It took time, effort, and investment to create your confident and beautiful smile. To make sure it lasts, consider Vivera® retainers from the makers of Invisalign®. Whether you’ve used Invisalign® or traditional wire braces, you can benefit from Vivera® retainers. 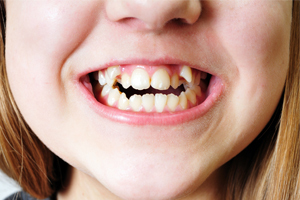 Studies show that without retainers straight teeth can gradually shift back towards their initial position. This is a common occurrence with all orthodontic treatment, but is one that can easily be overcome. Wearing Vivera® retainers after traditional braces or Invisalign® treatment means you are keeping your teeth in their new position and protecting your smile and investment. 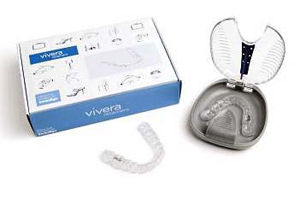 Vivera® retainers are custom made for you with the same state-of-the-art technology used to make Invisalign® aligners. Because the retainers are custom made from an impression or scan of your teeth, you will benefit from a precise fit and therefore more comfortable fit. Vivera®’s proprietary material is 30% stronger*, which helps maintain your teeth in the desired position. It also reduces the risk of the retainer cracking or breaking, which means a more durable retainer that you can count on. If you are about to finish treatment, tell Dr. Katz that you want Vivera® retainers. 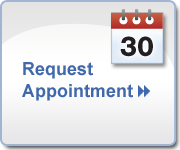 Schedule your free Vivera® consultation with Dr. Katz. Dr. Katz will take an impression or scan of your teeth. Dr. Katz will order new sets of retainers and give you a call when they have been delivered. A new impression or scan may or may not be required to determine if your teeth have shifted. *Than other leading clear retainer materials.